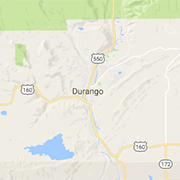 Browse these trusted Durango real estate agents for assistance buying or selling a home. I'm a full time agent genuinely committed to helping you obtain your real estate goals, specializing in the Durango, Forest Lakes, Bayfield, and El Rancho areas. Helping his clients get the best value for their properties and dollars, Jeremiah Aukerman is the local real estate agent ready to navigate the home buying or selling process. Supported by the world-class resources of Keller Williams, I specialize in assisting my clients realize their dream of owning a home in the mountains around Durango, Colorado.